This past couple of weeks have not been especially good for accountability in South Africa. A post-cabinet meeting saw Edna Molewa, the Minister of Water and Environmental Affairs, meeting a rather hostile media contingent determined to seek answers for countrywide black-outs. No president, no minister of public enterprises, no minister of energy was there to explain what happened: just Molewa, exposed to public anger. Molewa announced, rather unbelievably, that there would be no ‘negative impact’ as a result of the rolling black-outs. This was followed by the now-famous ‘wet coal’ explanation as to why the country ran out of electricity. As far back as 1998 there have been warnings about the fragility of our power supply. Yet, in 2002, the Minister of Minerals and Energy at the time, Pumzile Mlambo-Ngcuka, said there was no looming power crisis. Then, of course, came 2008 and the new era of rolling black-outs. Since then the problem was always going to have to be managed, or spun in such a way as to not cause general panic. At the very heart of it all is a lack of accountability by those in power. This is something that South Africans are becoming all too familiar with when elected representatives are called to account, specifically on decision-making processes or public expenditure. Very few explanations are given, and when they are, they seem wholly unsatisfactory. The Minister of Public Works, Thulas Nxesi, left many incredulous after his explanations for the R215-million security upgrade to President Jacob Zuma’s private Nkandla homestead. At Parliament last week, things were not so rosy either. Annelize van Wyk, Chairperson of the Portfolio Committee on Police lost all patience with the police. They were there to report on crucial questions regarding lost and stolen police firearms, leases on buildings and the role of the internal police inspectorate, among others. Their answers provided no new detailed information, and police management simply restated facts that the committee already knew. So the question remains, how can greater accountability be created in our constitutional democracy? Might a change in the electoral system be the ‘missing link’? Many have argued that our proportional-representation-list system diminishes accountability. Yet, our local government system, which has greater built-in accountability, has also failed dismally in linking citizens to local councillors – this despite being a system with an element of proportionality and direct representation. 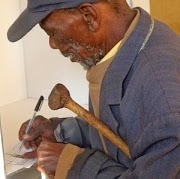 The South African electoral system is characterised by simplicity, inclusiveness and a strong sense of fairness. These characteristics have, arguably, helped to strengthen our democracy and ensure the legitimacy of democratic processes among South Africans. However, since the 1999 general elections, a significant weakness has emerged within the electoral system. South Africa’s use of proportional representation based on a closed-party-list system seems to generate a deficit in accountability, particularly in the context of one-party dominance. This weakness was notable during the arms deal debacle of 2000, when it was clear that party loyalty trumped the need for accountability. Those members of parliament (MPs) who stood their ground, like Andrew Feinstein, found themselves ostracised by the ANC – many of whose senior members were deeply implicated in wrongdoing. Further examples of how party loyalty trumps public interest and accountability occurred when the infamous Protection of State Information Bill (commonly known as the Secrecy Bill) was voted into law, despite widespread public opposition and the concerns of some ANC MPs. Initially, the South African electoral system, as crafted in the interim constitution of 1994, was welcomed. Near-perfect proportional representation ensured that the national and provincial legislatures were directly and widely representative, affording a strong sense of inclusiveness. The system followed recommendations from comparative institutions on the best design for ‘divided societies’. The results of the first election were widely accepted, and therefore had a moderating effect at a potentially volatile time. In its Founding Provisions, the South African Constitution identifies ‘universal adult suffrage, a national common voter’s roll, regular elections and a multi-party system of democratic government, to ensure accountability, responsiveness and openness’ as essential components of any new electoral system. In 2002, the cabinet appointed an Electoral Task Team (ETT) to formulate the new electoral laws for the 2004 elections and beyond. The task team was chaired by Dr Frederik van Zyl Slabbert and consisted of members of government and civil society. It considered whether an electoral system could guarantee accountability. In a first-past-the-post system, representatives are individually scrutinised, but the party as a whole gets less critical treatment. The ETT proposed a system that did not change the electoral system in a manner that would disrupt the administration of the elections, and that could be modified in future to continuously increase accountability. This system was supported by a majority of the task team, although there was a minority dissent. The majority proposal was a ‘mixed system’ in which 300 of the seats allocated in the National Assembly would be allocated via 69 multi-member constituencies, and the remaining 100 would be assigned according to national closed lists, in order to regain the element of proportionality. There were, of course, constraints blocking the immediate implementation of these recommendations, such as the lack of time and funding available ahead of the 2004 elections. The proposed model was therefore a compromise to ensure accountability. The report was tabled in March 2003, and Parliament voted to revisit the recommendations after the elections. Nevertheless, cabinet adopted the ETT’s minority position, which was to not introduce any changes to the electoral system. The argument forwarded by Mangosuthu Buthelezi, Minister of Home Affairs at the time, was that there was too little time before the 2004 elections to implement the changes. This did not mean such reform couldn’t happen in the future, but the political possibilities for such changes are bleak. The recommendations have never since been reconsidered or adopted by Parliament. Arguably, South Africa’s electoral system requires reform, and the report by the ETT needs to be seriously reconsidered. The current electoral system might espouse democratic values of fairness and inclusivity, while maintaining its simplicity, but it remains weak on the key democratic value of accountability. The lack of accountability in the electoral system has weakened key institutions and has enabled the emergence of a one-party dominant system and, more importantly, the dominance of party executives. As seen in the infamous arms deal, party interests in the current system trump the public interest. If South Africa is to further the consolidation of its young democracy, ensuring greater accountability between the electorate and political parties is key. This will strengthen the democratic fabric of South Africa’s society, and ensure more responsive governance.